Has character been replaced by personality? I recently read ‘Quiet’: The Power of Introverts in a World That Can’t Stop Talking , by Susan Cain. One section that particularly interested me, discussed how the culture of character had been replaced by the culture of personality starting early last century in the USA. “America had shifted from what influential cultural historian Warren Susman called a culture of character to a culture of personality, and opened up a Pandora’s box of personal anxieties of which we would never recover.” – Susan Cain. Cain explains how Dale Carnegie led the charge toward a culture of personality with his classes in public speaking, shifting the emphasis from what drove a person internally, to what impression they could make externally, in order to influence others. This influence was, of course, usually for financial or political gain, although the difference between the two is hard to define. So we have ended up with a system where a big white smile is valued more than integrity, where fancy rhetoric woos the voters more strongly than deep thought and considered opinion. Thanks, Dale. By embracing free trade, capital formation, vigorous meritocratic education, low taxes, and a reliable judicial system, Lee raised the per capita income of his country from $500 a year to some $52,000 a year today. That’s 50 percent higher than that of Britain, the colonial power that ruled Singapore for 150 years. Its average annual growth rate has averaged 7 percent since the 1970s. For me, one of the keywords is meritocratic. It doesn’t matter who your father was, or what you look like, whether you are extrovert or cripplingly introvert, if you are good at what you do, and if what you do is good for others, you will be valued. You will rise based on merit alone. Nothing else makes sense to me. 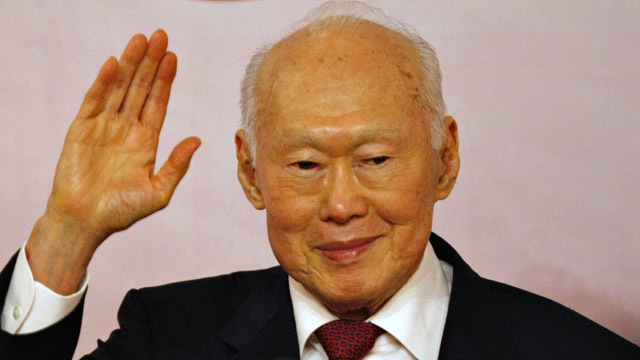 I mourn the passing of Harry Lee Kuan Yew, and hope that one day governments of other countries will look at his achievements and draw upon his quiet wisdom and deep, steadfast character. those characters who populate the pages of the books we read and write. Some of the characters I use in my writing are completely fictitious, but most are people, or composites of people I have known. Sometimes I shift their age, other times I swap their gender, but what I always try to keep is the core of their character. An example is Jimmy McCutchen from Shadow House. Jimmy is a composite of two people. I used the physical appearance, movement, and body language of one, and the conniving, back-stabbing toxicity of another to produce the odious Jimmy. I didn’t like him as a character, and was glad when I found a convenient opportunity to kill him. He filled a need in the book, but I’ll never miss him. Other characters I miss deeply when I finish a manuscript, and worry about how the reading world will treat them. Meagan from Flank Street was one of those that wasn’t consciously based on a real person. I missed her when the manuscript was finished, missed our daily interactions, and seeing what she would do when the pressure came on. She never disappointed me. In a way, I used Meagan as a reflection of how shallow and false most people can be, especially single males, or males who think they would like to be single. And in the end she paid the price for the vulnerability her looks and personality forced upon her. There can be no doubt that those who write, to some greater or lesser degree, live vicariously through their characters. I certainly do, and in parts of Flank Street I did that through Micky DeWitt. Micky is a complex character, a thief and a liar, but we shared a few likes and dislikes which allowed him to have a good life for a while, and me to indulge in fantasy. Sam Autenburg from Heather is another example of that vicarious existence. As a reader, there are certain characters that stand out and stick in my mind longer than others. Lisbeth Salander from the Stieg Larsson trilogy is one, perhaps because she is such an unusual heroine, so seemingly unique. Or is she perhaps a conglomeration of clichés that can’t be pinned down? If you want to learn more about the characters I’ve mentioned in this post, you can read excerpts of the novels here, or buy the books from Amazon here. Don’t miss a special guest blog on ‘G’ day, May 8th. I’ve invited a few Sydney characters round for you to meet! Come and join us. I don’t know who’ll turn up, but it’s sure to be different. Do you have a favourite, stand out character from a book you’ve read? If so, leave a comment below. Join me again tomorrow for ‘D’ day … until then, thanks for coming by, and happy reading. Love it! Excellent post. I think America’s biggest problem is TV. Our statesman are more celebrity than leader. I’d never heard of this man, but will be checking him out now. Thanks! Totally agree with you about TV being a huge problem, and it seems to be everywhere. Such an invasive and mind numbing form of media. And I fear the internet is heading that way.